A touch of Fred and Ginger in the Pearl! 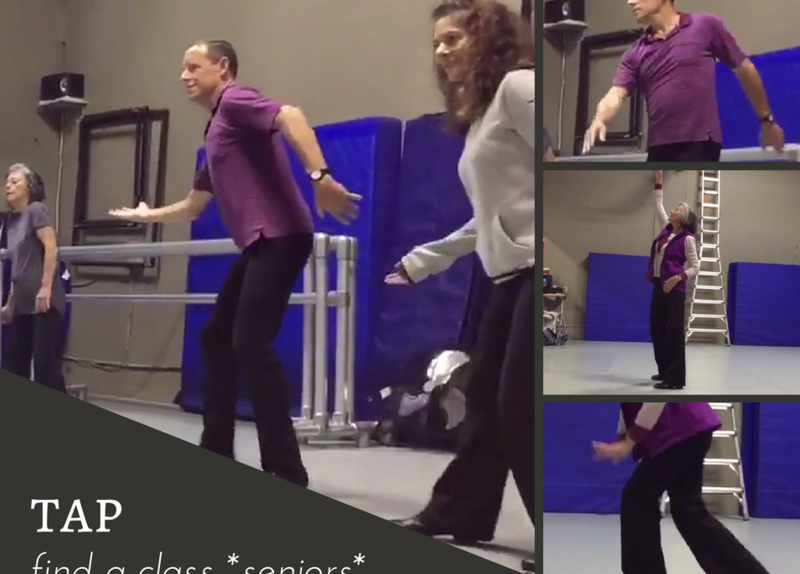 If you love the tap dancing of the classic movie era you will be right at home in Thorey Mountain’s Senior Tap Class at Polaris Dance Theatre. Polaris is located at 1826 NW 18th Ave. Portland, with free street parking and a few spots adjacent to the building itself. The studio is easy to find and well marked from the street view. Polaris is a high quality dance facility with a topnotch in-house performance company of its own. The studio is friendly, well run, with large clean studio spaces and many pricing options to offer. In brief, Thorey is a Royal Academy certified instructor, a tap coach for the West End production of Billy Elliot and has worked internationally as a freelance choreographer. Thorey offers a one hour fun, multi-leveled tap class delighting the ear with cool jazz, standards, and musical theater tunes to tap to, such as S’Wonderful, Our Love is Here to Stay and Razzle Dazzle from Chicago, to name a few. No need for “work-out wear” street clothes are fine for tap. Tap shoes are not a requirement either. If you are not ready to commit to a purchase, a clean, hard-sole shoe will work as you test the waters. But if you want to jump right in I have found some great buys on the sale rack at The Leotard on MLK in Portland. Class begins with a simple easy to follow soft warm up which Thorey calls the “oily warm up” waking up the whole body with familiar movements. Then she moves into tap basics such as shuffles and flaps, which she explains in detail for the proper technique to perfect execution. I really appreciate the repetition and review of these basic steps… as sometimes it takes me a while to catch on. Following the warm up she skillfully builds on the basic steps to create combinations, patterns, and rhythms, again with lots of repetitions to ensure success for each individual student. Because the class is small (lucky us!) she is able to give each of us one-on-one attention sensitive to our own abilities…I like to think of it as getting a private lesson at a group price…nice. Next Thorey introduces us to traveling patterns that give us a chance to move across and use the whole space using directional changes enhancing the tap dance experience. The last 20 minutes, or so (and my favorite part), is crafted into an easy stylish routine set to music constructed of patterns and steps, introduced earlier in the hour, magically transformed into a dance worthy of Broadway. Here is where we let our inner Fred and Ginger shine! And I’m pretty sure you’ll be humming some of those classic tunes on your way home as well. Take class with Thorey Mountain at Polaris Dance Theatre.